I’d like to congratulate myself on predicting Patrick Wiercioch would be scratched prior to either Jared Cowen or Mark Borowiecki, but he was back for the game against the Rangers today and Dave Cameron finally acknowledged the obvious by scratching the useless Cowen. The Sens comical 7-5 loss versus Nashville is neatly described by Michaela Schreiter, while the 3-2 win over Vancouver is covered by Ross A. Adding a speedy playmaking center like Duchene could help transition the offence by improving their ability to carry the puck with speed through the neutral zone and boasting Turris/Zibanejad/Duchene down the middle certainly would certainly be impressive. On the other hand, whatever success Ottawa can have this year will be predicated on their ability to fix their shittacular blue line. Obviously a Duchene trade and improving the blue line does not have to be mutually exclusive, but without knowing what the opportunity cost would be to acquire him and without having some side deals in place to improve the blue line, adding Duchene alone is not going to be enough to turn this team’s fortunes around. I agree fully with that final thought. if we looked at where this team is now (under Cameron) and where they were at this time last year (under Paul MacLean), there is not much of a difference. As of November 13, 2014 the Sens had a record of 8-4-4. Right now, the Sens’ record is 8-5-3. Both teams suffered from a lack of identity and allowed a very high number of shots against per game. This may be an indication that the problems on this team are not necessarily due to coaching. Maybe there needs to be a change in the roster before we have another coaching change. My fear is that firing Cameron will become a knee-jerk reaction if the team’s struggles worsen. Fortunately, I suspect we’ll see a trade before it comes to that. I think Dave Cameron is the right coach for this team, and I would like to see what he can do with the right roster in front of him. Management needs to look at the changes to be made on the team, before they look elsewhere. I don’t quite follow her logic here–what is it about Cameron that makes her think he’s the right man for the job? Besides that conclusion I agree with everything above. 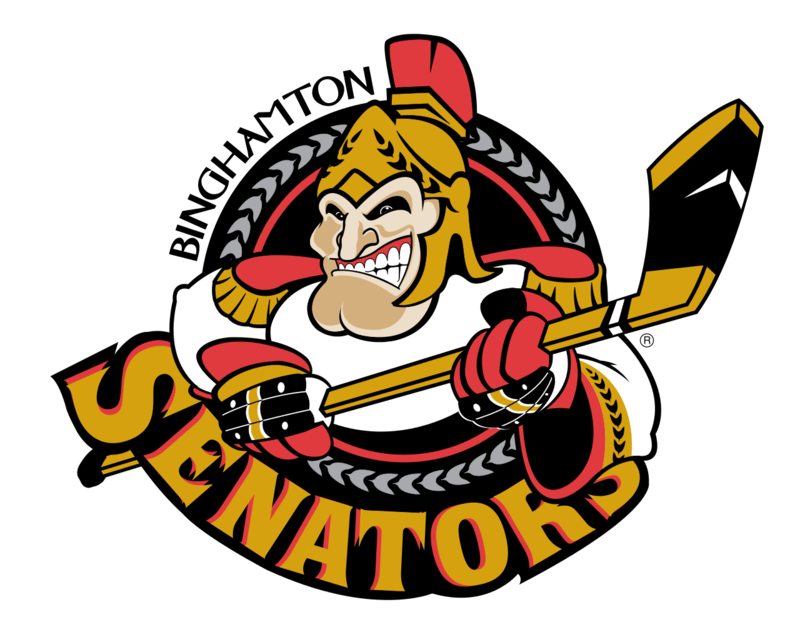 The BSens did some more house keeping as the disappointing Alex Guptill was sent down to Evansville. Was he the least useful forward on the roster? 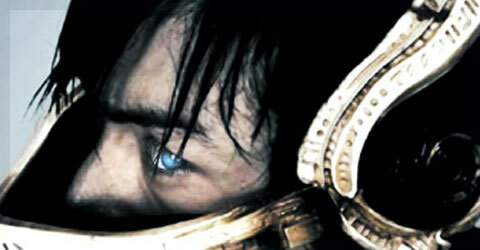 I think it’s debatable, but he’s useless enough that it doesn’t really matter (although he may help the IceMen). Jeff Ulmer‘s recap is oddly picky over who is and isn’t singled out and I completely disagree with him on Tobias Lindberg‘s defensive acumen (which is quite good). I’ve read Jeff for a long time and while I love his work, he has a soft spot for tough guys and little patience with skilled players–I’m quite the opposite, but the facts don’t change regardless of personal preference and if you read through defensive mistakes on Binghamton’s goals this year you’re going to see goat horns on the former far more often than not. It’s been nice to see all the games this year so I’m less dependent on others view of who is or isn’t playing well. One of the major themes of this season is Mark Fraser taking awful penalties (passim), but Richardson has chosen to do absolutely nothing about it–the guy isn’t going to learn until he sits if he doesn’t keep himself in check. As for the game itself, O’Connor had his best start of the season, although there’s an odour to the Vermin goal. 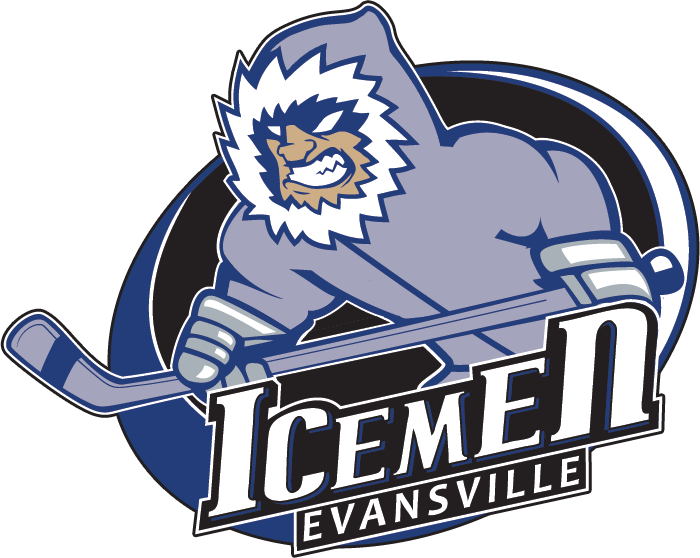 The problem for Evansville remains the same: a weak blueline and a lack of offensive talent. Guptill should help, but with Noreau awful (and currently in the AHL) and Dieude-Fauvel hurt, there’s no help coming for the defensecorps. Rut’s been in the ECHL for three years. And? Binghamton’s blueline is full of ECHL grade players and he’s better than most of them. How many Evansville games have you watched Jeff? I remember reading the same blurb from Michaela and being just as bewildered by the conclusion she draws. If anything, the fact that the teams are sporting almost identical stats from last year to this tells me that the problem IS with the coaching; especially when, minus the fortuitous run of injuries, Cameron runs with virtually the same lineup and philosophy that failed MacLean so spectacularly. Before the Ranger’s game it had gotten to the point where it felt as though Cameron was making lineup decisions with the aid of a dartboard and blindfold. Pulling Wiercioch ahead of Cowen tells me that Cameron, along with the entire front office, evaluates player performance strictly by eye test criteria; in other words they’re years behind most of the rest of the NHL and falling fast. And that conclusion is borne out seemingly every other game or so, where the Sens get whupped soundly in terms of possession and shots, and whether the team will win, lose or melt down entirely feels like anybody’s guess. My gut feeling is that the players are almost as confused by Cameron’s strategy (or lack thereof) as the fans. Something is going to have to change and quick if this season is to achieve anything close to its potential. Unfortunately, what really needs to happen is a clean sweep through the front office – no, I don’t see that happening anytime soon either. I agree 100% with that. The only mitigating factor that might exist is people have speculated that Cameron is being pressured about his lineup from the front office–if that’s true, I think that’s still on him–far better to be fired for doing good things than having your coaching reputation trashed for following orders. Love the thoughts–couldn’t agree more.